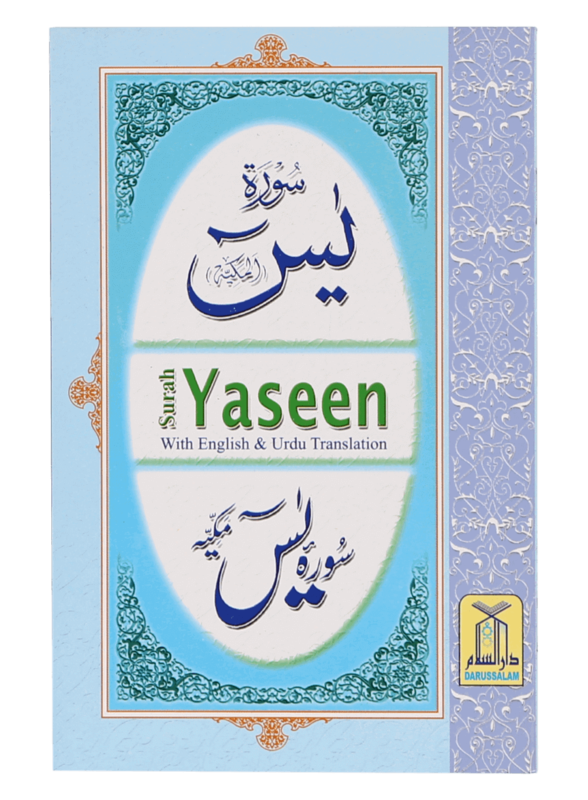 Meta Description: Surah Yaseen in English and Urdu translation by Darussalam is a light and easy to carry booklet. 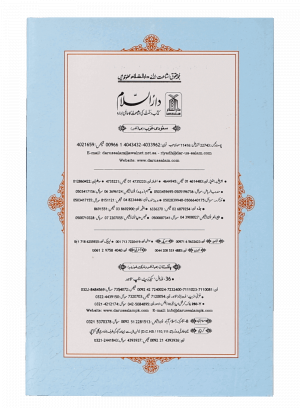 It also features Sayyed-Ul-Istighfar and prayer for Istikharah. 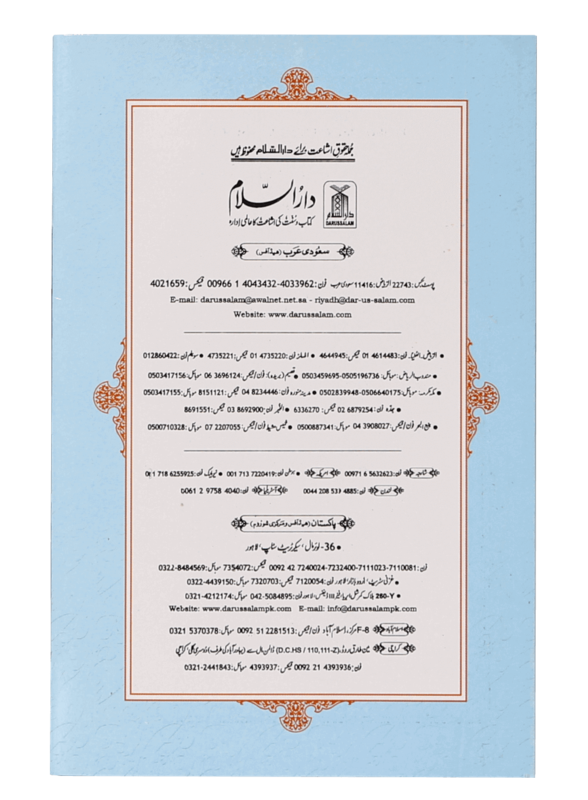 Interpretation of the Meanings of the Noble Quran in the English Language By Dr. M. Taqiuddin Al-Hilali & Dr. M. Muhsin Khan is a the fruit of a colossal effort undertaken by the diligent team of Darussalam in helping people around the globe in understanding the Holy Quran. 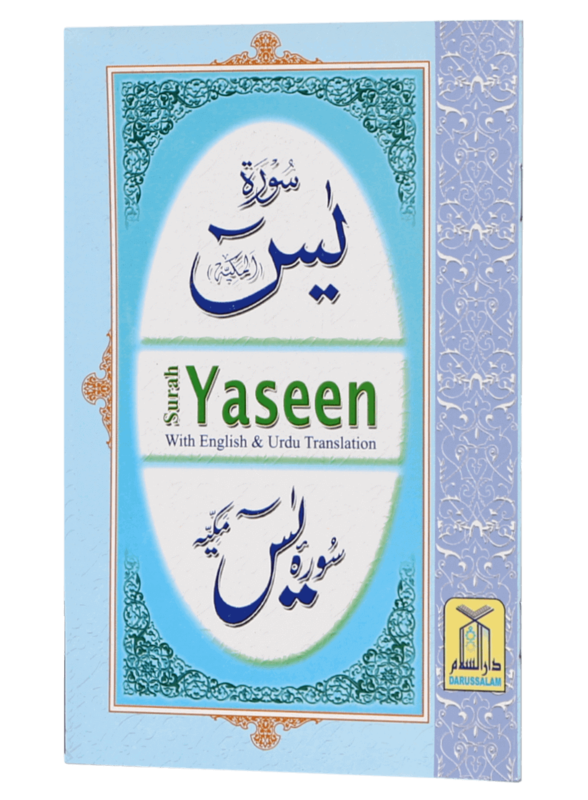 This high quality mushaf features Arabic text in Uthmani print on the right side and English translation on the left side of every page. 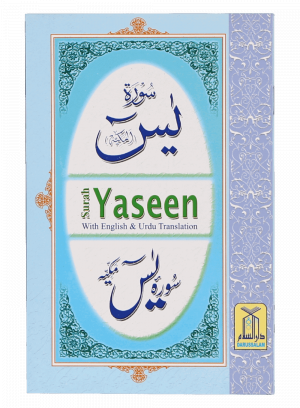 Explanation and comprehensive interpretation of the verses (Tafsir) is printed as footnotes at the bottom of the page. The Tafsir is actually a summarized version of At Tabari, Al Qurtabi and Ibn Kathir and includes relevant comments from Sahih Bukhari. An Index of Surah, list of prostration places and prophets mentioned in the Quran is featured at the end of this compilation. 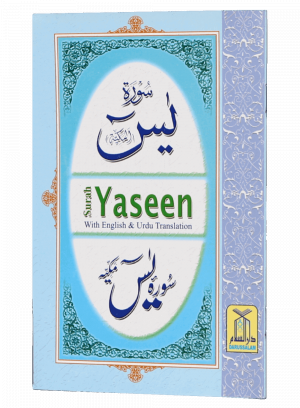 A comprehensive glossary follows the mentioned lists and there are also comprehensive notes at the end related to topics such as why Allah sent Prophets and Messengers, Tauhid (Islamic Monotheism), Shahadah – Confession of a Muslim, Ash Shirk and Al Kufr (Polytheism and Disbelief) An Nifaq (Hypocrisy and its various Manifestations) and a detail note Jesus and Muhammad (peace be upon them) In The Bible and The Quran (Biblical evidence of Jesus being a servant of Allah and having no share in divinity).